One of the many and serious problems with James Madison’s arguments for representative democracy is that elections result in the selection of the best people to serve as our leaders. Tragically, we have seen ample proof that such is not the case. The recent decision of the U. S. Supreme Court in McDonnell v. United States is merely another example of a flawed system. The high court has affirmed the right of elected officials to peddle influence, so long as they do not make a contract to do so. How can we argue with the Court’s logic? To one degree or another, elected officials have always exerted influence and accepted “contributions.” This is not to say that all politicians are on the take. In more than 50 years of serving in political campaigns as well as in elected and appointed public offices, I have worked with some honest elected officials who were truly concerned with the public interest. There have been a few, but no more than a handful. 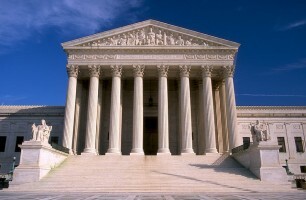 Now that the Supreme Court has affirmed what most of us involved in the process of government have known for many decades, what does that mean for the public administrators who work under the oversight of elected masters? Is administrative ethics a lost cause or is it even more important than before Chief Justice Rogers boldly stated the obvious? At the level of the individual public administrator, there is no feel-good answer. Instances of corruption involving elected officials will undermine public confidence in government. There is little we can do to change that except to hold even tighter to the high ethical standards of our profession and ride out the storm. I seriously doubt that there are many professional public administrators who have not experienced pressure from an elected official to hire a friend or contract with a particular vendor for services. We are among the few for whom unemployment may be a badge of honor. The McDonnell ruling will likely inspire even bolder episodes of influence peddling, especially at the state and local levels. With federal prosecutors held on a short leash, state and local prosecutors who work at the discretion of their elected masters, may lose their zeal for investigations of possible corruption. But, even in politics, enough is enough. History has demonstrated that our republic has weathered periods of corruption followed by well-intended, if not misdirected, tidal waves of reform. Nixon was villainized for self-serving political skullduggery. The Nixon-era reforms gave us the political action committees which are now villainized as tools of special interests. But, Nixon’s lapses pale in comparison to the overt bribery and scandal associated with the Grant and Harding administrations, not to mention Tammany Hall and the Daley dynasty in Chicago. Eventually, the political “outs” will use their leverage with the media to expose the most extravagant exploits of the political “ins” and the public will become outraged at the number of politicians sporting Rolexes. Either the state legislatures or Congress will tighten up the laws. In response, the new political “ins” will create new loopholes for the next round of reforms to close. Personally, I see the McDonnell decision as the low-water mark, if not the death knell, of the republic as a viable form of government. Representative democracy has proven unable to control the narrow self-interest of its elected officials. Bankrupt or deeply indebted welfare states across the globe provide ample evidence that representative democracy cannot control the narrow self-interest of its citizens. Because of their size, it may take some time for the dinosaurs we call republics to realize that their time is over. In the interim, we will attempt many remedies such as public participation. We will make every effort to include stakeholders – those who realize their self-interest and willingly participate in efforts to advance that interest – in the decision-making process, thereby moving us further from any real interest in the public good. The millennials and the generations following them will have to clean up our mess. They will have to cobble together a system of government that does a better job of containing the evils of self-interest while preserving individual liberty. A careful reading of Madison’s Federalist Papers 10 and 51 might be a good place to begin. Even if Madison missed the solution, he understood the problem. In the alternative, the republican government will devolve into anarchy, as Aristotle predicted 2,400 years ago. The good news is that the next set of rulers will need competent and trustworthy public administrators to put out the fires, bury the dead, and get essential services back on-line after the Apocalypse runs its course. The Chief Justice of the U. S. Supreme Court is Roberts, not Rogers.